I am proud to see MHP recognised as PR Moment’s Large Agency of the Year. We built a new leadership team and invested in specialist talent – welcoming colleagues from Brunswick; Bloomberg; the office of Labour Party Deputy Leader, Tom Watson; Conservative Campaign Headquarters; and from Sky’s creative team – helping us to reaching audiences from ministers to consumers, and journalists to The City. We unveiled a new communications model, following a year-long research project conducted with partners at UCL’s Affective Brain Lab and MIT neuroscientist Dr Tali Sharot – “The Networked Age“ – as a guide to a world in which connected audiences are increasingly influenced by group dynamics, creating a world that is more volatile, activist and vulnerable to fake news. This research is at the heart of MHP’s approach to communications, ensuring we can offer the strongest strategic advice to our clients, together with evidence-based recommendations and action. We welcomed more than 50 new clients, including Coca Cola European Partners, Nationwide Building Society and BNP Paribas, as well AbbVie, Atos, Bank of Asia, Cystic Fibrosis Trust, GSK, ING, Restaurant Group, SSE, Universities UK, and others. 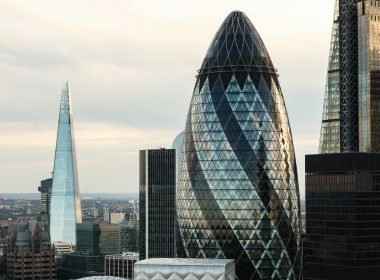 This momentum has continued in to the new year, with recent wins including leading fintech Revolut, technology group Avon Rubber, and international solar firm Solarcentury; senior new hires from Golin and Tulchan Communications; and our Capital Markets team joining the top five communications agencies in the UK by number of M&A deals. But we know our clients are more ambitious than ever, and we have exciting plans for growth and innovation in 2019 – which we can only deliver if we continue to attract the very best communications experts from across politics, business, and culture. If you would like to help some of world’s leading businesses solve tough communications challenges, across Brand, Capital Markets, Corporate Reputation, Crisis and Risk, Design, Financial Services, Health, and Public Affairs audiences, please get in touch.